Misty is an easy growing very potential plant that will never be a disappointment for beginners as well as more experienced growers. Misty is mainly Indica and closely related to the well known White Widow but compared to White Widow this little lady has a shorter blooming period with a large yield. Strong solid leaves have a lime green fresh color and the plant itself doesn't get very big but grows bushy to the sides. Nice thick fluffy buds emerge and like icing on the cake the layer of resin gives them an attractive appearance. Although it is possible to grow Misty outdoors under positive and stable weather conditions she's at her best growing indoors, there you can grow more plants with limited space. The smell she produces when in flowering phase can be defined as skunk musk while when you smoke Misty it gives a smooth puff and gets you into a sativa influenced energetic buzz that stays with you for an unlimited amount of time. 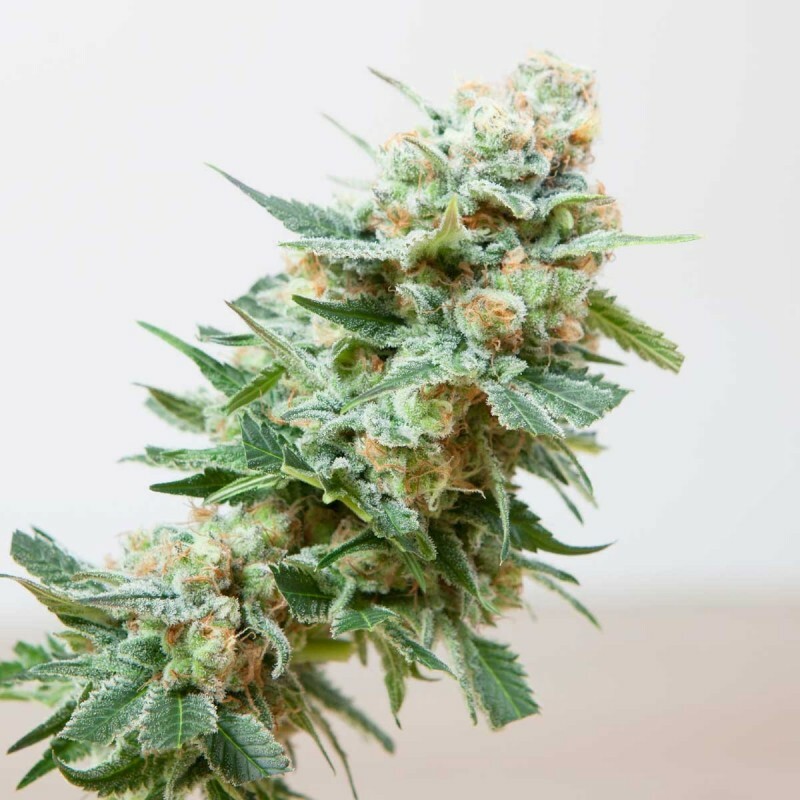 Sharing its genes with the popular White Widow variety, Misty feminized seed strain grows into stocky and short plants. It is a highly potential choice that is very easy to grow and will never disappoint experienced growers either. Misty feminized plants grow bubble-like lime green colored leaves, which are heavy and thick. Its buds are very dense and layered with THC glands that extend even to the shady leaves. The fluffy and thick buds are icing on the cake, with the resin layer on the topthat gives them a very attractive appearance. Even though this strain gets its genes from White Widow, it flowers much earlier and yields tighter buds with a much higher output. Since the plant grows bushy to the sides, it is necessary to sow the seeds leaving the required space between each plant. This feminized strain can be cultivated outdoors under stable and positive climatic conditions, but still it is best grown indoors. The smell that Misty feminized variety radiates is musky and powerful; some of them complain that it smells like old sweat. However, unlike its strong smell, the smoke is really sweet and leaves behind a sugary taste that lingers in your mouth for a while. The smooth puff from the smoke gets the smoker into a sativa-powered energetic buzz.